New York Times bestselling creators of THE WICKED + THE DIVINE, writer Kieron Gillen, artist Jamie McKelvie, and colorist Matt Wilson, return to PHONOGRAM to finish what they started with PHONOGRAM: THE IMMATERIAL GIRL #1. PHONOGRAM: THE IMMATERIAL GIRL is the story of Emily Aster, who sold half her personality for the power to rule a coven of phonomancers. It's worked for nearly a decade. Clearly nothing could go wrong now, and the girl behind the screen won't come back for what's been taken from her. In a world where Music is Magic, a song can save or ruin your life. In PHONOGRAM: THE IMMATERIAL GIRL we discover what a video can do. And you will never listen to A-ha's "Take On Me" in the same way ever again. 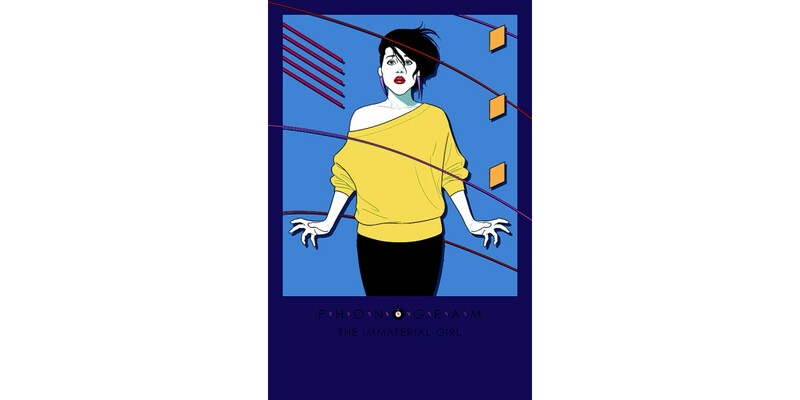 PHONOGRAM: THE IMMATERIAL GIRL #1 (Diamond Code: JUN150532) will be available on Wednesday, August 12th. The final order cutoff for retailers is Monday, July 20th.